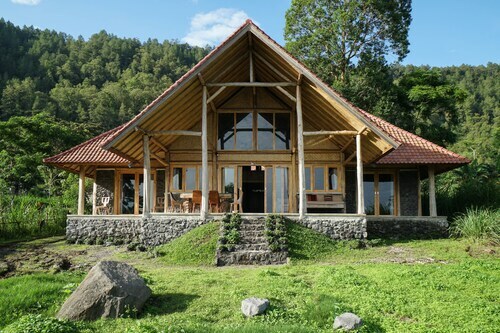 Situated in Kintamani, this campground is 0.1 mi (0.1 km) from Lake Batur and 1.3 mi (2.1 km) from Batur Natural Hot Spring. Mount Batur and Batur Volcano Museum are also within 12 mi (20 km). 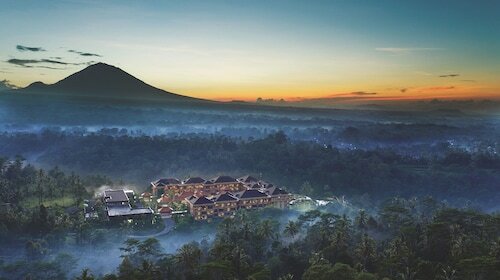 Situated in Kintamani, this hotel is 0.1 mi (0.1 km) from Lake Batur and 2.9 mi (4.7 km) from Mount Batur. Museum Geopark Batur and Batur Natural Hot Spring are also within 3 mi (5 km). 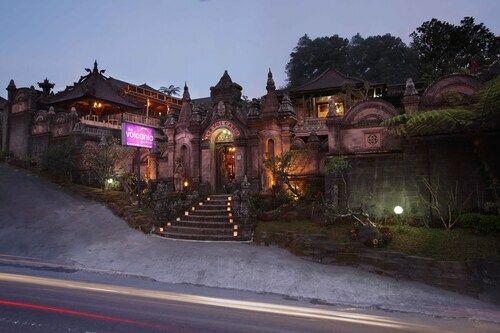 Situated in Kintamani, this hotel is 0.1 mi (0.1 km) from Lake Batur and 3 mi (4.9 km) from Mount Batur. Museum Geopark Batur and Batur Natural Hot Spring are also within 3 mi (5 km). 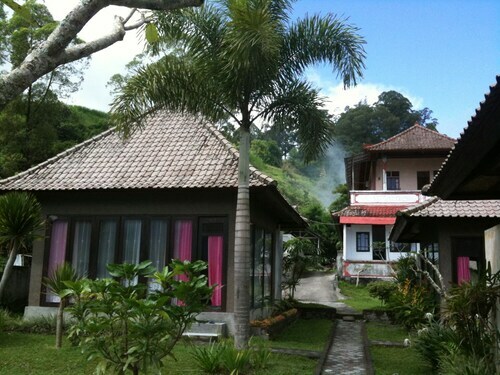 Situated in a rural location, this hotel is 0.1 mi (0.1 km) from Lake Batur and 3.1 mi (4.9 km) from Mount Batur. Museum Geopark Batur and Batur Natural Hot Spring are also within 3 mi (5 km). I feel for the owners and the poor staff who work there. Trucks with gravel and sand are going up the very steep and dusty road every minute or so, only meters from the rooms. Everything is covered in white dust and the noise level is constant all day and night. Neither Internet nor TV worked. 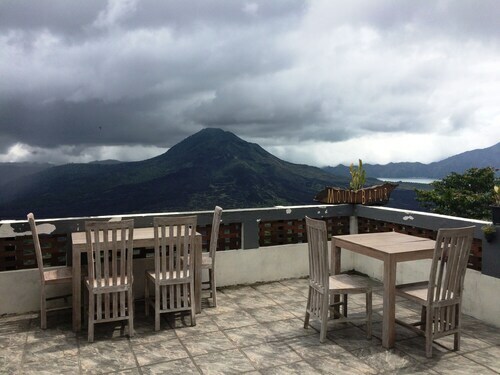 Situated in Kintamani, this resort is 0.1 mi (0.1 km) from Lake Batur and 2.6 mi (4.2 km) from Museum Geopark Batur. Mount Batur and Batur Natural Hot Spring are also within 6 mi (10 km). 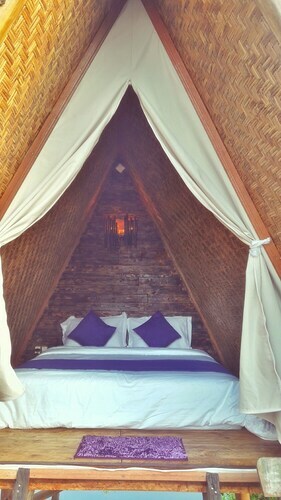 Situated on a lake, this boutique guesthouse is 0.1 mi (0.1 km) from Museum Geopark Batur and 2.3 mi (3.7 km) from Lake Batur. Mount Batur and Batur Volcano Museum are also within 6 mi (10 km). 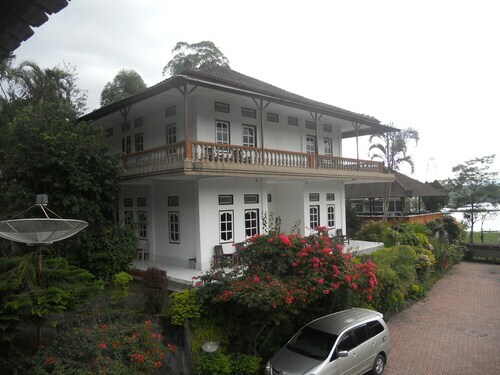 Situated in Kintamani, this villa is 0.2 mi (0.4 km) from Lake Batur and 3.1 mi (5 km) from Museum Geopark Batur. Mount Batur and Batur Natural Hot Spring are also within 6 mi (10 km). 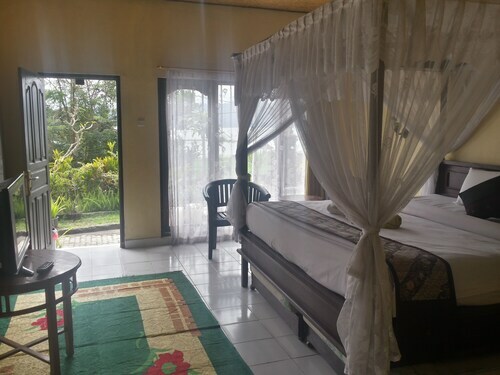 Situated in Kintamani, this hotel is 1.1 mi (1.8 km) from Batur Volcano Museum and within 9 mi (15 km) of Museum Geopark Batur and Lake Batur. Mount Batur and Batur Natural Hot Spring are also within 12 mi (20 km). Feel the breeze in your hair and take it easy at Mount Batur. You better hurry if you'd prefer to stay within a short distance of Mount Batur! 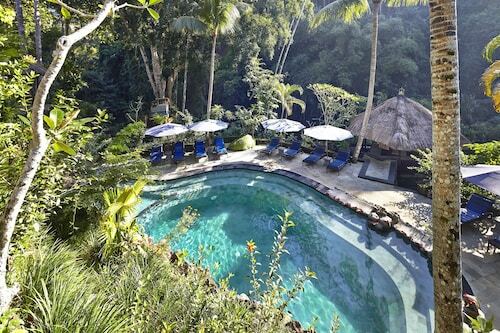 3 kilometres away, The Ayu Kintamani is the only listed accommodation option up for grabs. 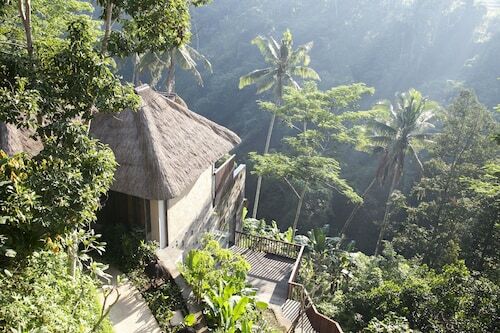 Refresh yourself when you go to Pura Jati Batur. Bring your friends, and enjoy the sunshine! Batur Natural Hot Spring is perfect for visitors who love spending time at special natural creations. Pura Bukit Mentik Ring Gunung Lebah Batur is an excellent place to reflect upon how religion is practiced in daily life. There aren't many places more calm than the elaborately detailed interiors of a temple. Get some downtime at Pura Ulun Danu Batur. Check for self-guided tours and take in the exhibits at Museum Geopark Batur. 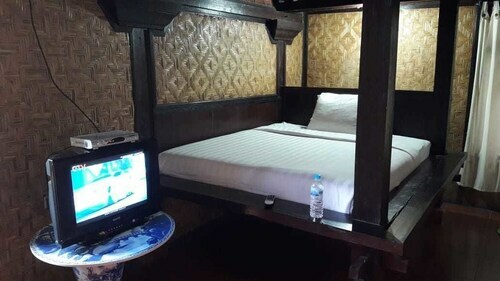 How Much is a Hotel Room in Mount Batur? 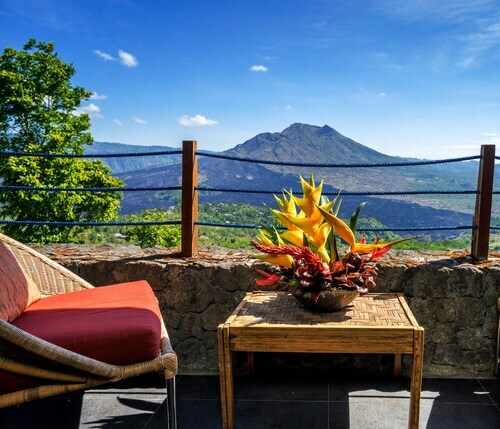 Hotels in Mount Batur start at AU$29 per night. Prices and availability subject to change. Additional terms may apply.